Donna Anthony founded Alaska Investigation Agency, LLC in 2012 upon her retirement from Palmer Police Department. She’s also the owner of Point Blank Firearms & Self Defense Training, LLC. With over 20 years of law enforcement and security experience, she was a duly sworn Police Officer in Alaska, prior to which she was a Deputy Sheriff in Ohio. During her time as an officer she was a Field Training Officer (FTO) and an investigator assigned to the Alaska State Trooper Statewide Drug Task Force Unit in an undercover capacity. She served as a case officer in several State and Federal cases. She has also worked throughout Alaska with many law enforcement agencies including the U.S. Marshals, DEA, ATF, and FBI. Donna has extensive training in SWAT, Rapid Response to an Active Shooter, Tactical Vehicle Assault, Tactical Firearms, Hostage Negation, Tactical Raid Planning, Undercover Techniques, Tactical Narcotics Techniques, Surveillance Platform Operations, Anti-Terrorism Training, Law Enforcement Prevention & Deterrence of Terrorist Acts, Tactical Operations Planning, FEMA Intermediate for Expanding Incidents, FEMA Advance Incident Command & General Staff-Complex Incidents. She is trained in First Aid, CPR, Medical Combat Training, AED and Emergency Trauma Technician. Donna has consistently received numerous commendations for her outstanding service, as well as a lifesaving award for valor. Donna sustains the highest integrity professionally and personally. She diligently cares about her community and actively supports it. She served as the School Resource Officer for two years and works closely with communities to build inter-agency response strategies. Volunteering her time, she created the Santa Cop & Heroes program in The Valley and without fail has serviced our Senior Citizens each Christmas since 2005. Because of this she was awarded Volunteer of the Year in 2012 by Governor Sean Parnell and First Lady Sandy Parnell. Exceptional as a leader and grounded as a team player, Donna has surrounded herself and her company with a strong team of knowledgeable and dedicated professionals that uphold her vision of community care. 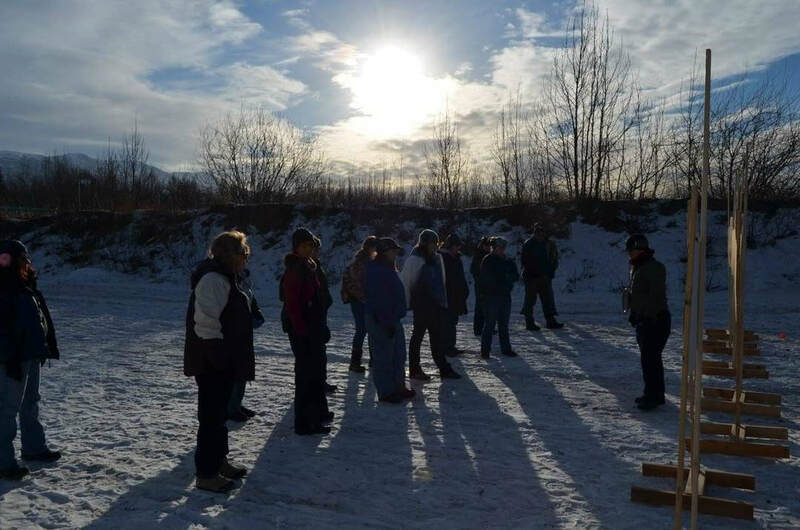 In 2013, Donna brought to Alaska The Well Armed Woman Chapter (TWAW). TWAW Shooting Chapters is a national 501(c)3 non-profit organization with the mission to educate, equip and empower women shooters. With currently over 356 chapters in 50 states women are the largest growing demographic of new shooters and firearm owners. TWAW shooting chapters provide opportunities for women shooters to gather, practice and grow as women shooters. TWAW provides a safe and welcoming environment for training and development for female shooters with other like minded women. In 2015, Donna became a board member for The Well Armed Woman Shooting Chapters. In 2017, she became the National Training Coordinator for the TWAW in all 50 states. Certified Carry Concealed Weapons Instructor for Alaska. May 2017 flew to Wisconsin to be an Expert in an Active Shooter in the Workplace Video. May 2017 consultant for Ruger guns. 2018 October- Podcast video interview with Alex Lansher- Anatomy of a Warrior.